Please feel free to stay for a long period. Ichinomiyamachi in Takayama City, giving birth to the life force of water, is a mountain village located in Mt. Kurai where the Iwato legend lives on. Take a trip where you can both explore history and make contact with nature. Wouldn’t you like to spend time relaxing with the fullness of nature? * The above prices differ during the period from December 31st - Jan 3rd, O-bon, large consecutive holidays, and the Takayama Festival period. * Confirm Sunday prices from "Search for vacancies". * Food for infants is different to that for adults. * For the content of barbecue ingredients, see "Meals"
We also provide a shuttle to and from the ski resort. 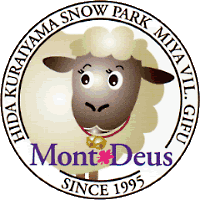 * For information on the ski slopes etc., please view the Mont Deus Hida Mt. Kurai Snow Park Official site.